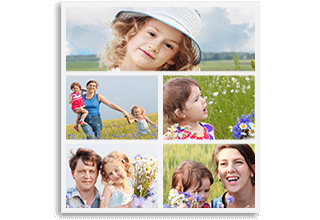 A canvas photo collage is your ideal combination of photos all on one canvas that you can use for a variety of purposes. You can either make this yourself to relive your memories or gift someone a unique canvas Prints filled with their memories. 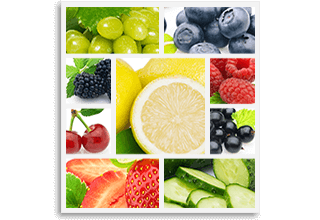 When you have the option of making a collage, you are no longer restricted to just one picture. The process of making such a canvas is also very simple. 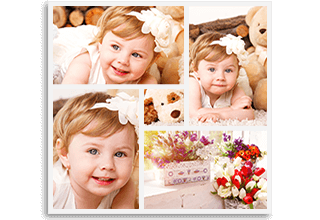 All you have to do is choose a design that caters to your requirements and then upload the pictures that you want on the canvas. There are numerous dimensions of the Canvas Collage that you can choose from. Once you have decided your required dimensions, you should know that we offer a wide range of colors for your background. 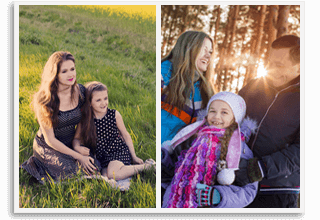 You can easily change the positioning of your pictures with a simple drag and drop feature or auto shuffle. Also, you may change the width between images as per your requirements. Once you are done, you can add text towards the top or the bottom of your canvas. You can upload as many as 36 pictures at a single time. 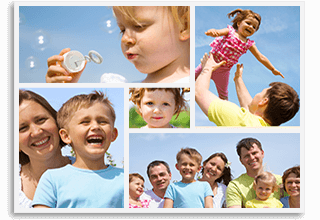 We offer a variety of fun templates, which means that you can choose one according to your requirements. 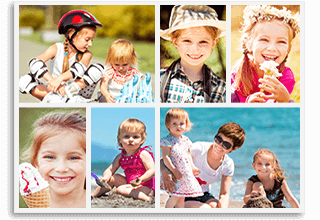 With us, you can make the most amazing collage for your canvas with just a few clicks. 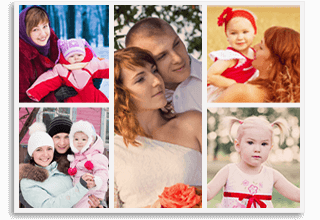 We offer you great control over the kind of design that you want in your canvas photo collage. 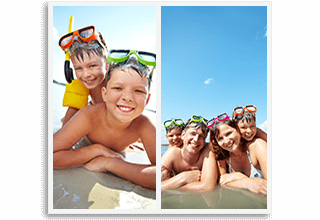 You can even control the amount of space in between the pictures and choose from a white or black background. We will make sure that we carefully pack your art so that you receive it in the most perfect condition possible. All you need to do is pull your artwork out of its box and simply hang it on the wall of your liking. We will even include a nail in the packaging for your benefit. 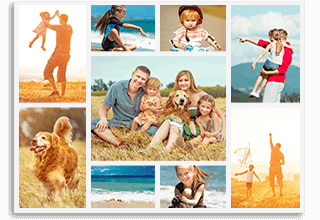 A canvas photo collage will require a little bit of your care and attention. Make sure that you wipe the collage with the help of only a soft and dry cloth on a frequent basis. Make sure that you do not use any cleaning products or a damp cloth on the canvas. Also, do not expose your canvas to direct sunlight or place it outside this will allow your canvas photo collage to last long. Q: How long does it take to have a print shipped and delivered? 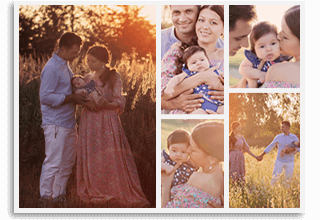 Q: Where can I see examples of the photo collage layouts? A: Hello Rebecca, Greetings! 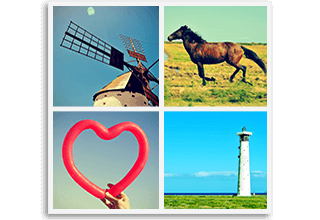 Thank you for your email, Please know that it is bit tough to arrange the image in the photo collage as per your requirment, however we will try to do that, you can order the heart shape collage on the very first page through the below link, https://www.canvaschamp.com/canvas-photo-collage Please let me know if there is anything further I can help you with. Kind regards, Mike, Canvas Champ. 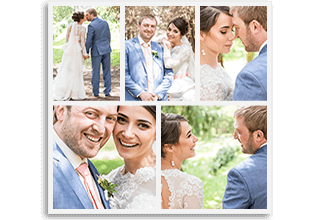 Q: I uploaded a bunch of photos to make a heart collage via hightail now how do I get to them to actually build my collage? Q: How long does it take to make and deliver? A: Dear Mack, Greetings from Canvas Champ! Please know that if you choose the standard shipping than it takes 9-10 business days to get it delivered to you and if you choose the express shipping than it takes 5-7 business days to get it delivered to you, and if you choose priority shipping than it will 3-5 business days to get it delivered to you. Please let me know if there is anything further I can help you with. Kind regards, Mike, Canvas Champ. Q: When I drag a picture into a collage it needs to be rotated 90 degrees. I can't figure out how to do it. Q: when trying to upload pictures to create a photo collage, the uploaded pictures are in the wrong orientation. Is there a way to fix this after uploading? Or do your editors change the orientation? A: Dear Customer, Greetings! Thank you for your email, Please know that the preview on the website is just to check if you've uploaded the correct image, however you can request for the proof in the comment box and one of our designer will send you the proof for approval and once you'll approve the proof we will process you order in production. Please let me know if there is anything further I can help you with. Kind regards, Mike, Canvas Champ. A: Dear Customer, Greetings! 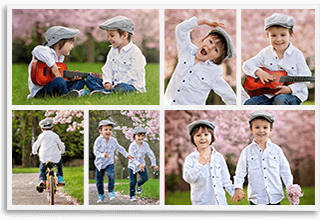 Thank you for getting in touch with us, Yes you can make the photo collage with that amount of the photos and we have the smallest size of 20" X 20" to print for 36 photos. For further queries please email us at cs@canvaschamp.com Please let me know if there is anything further I can help you with. Kind regards, Mike, Canvas Champ. Q: I am interested in the butterfly collage, which states, pictures up to 130 pictures...if I choose a bigger size dimension for this collage, does this mean I can have more photos ie more than 130 pictures or the maxium will also be 130 picture, but the pictures will appear bigger or smaller depending on the dimension.another question, are there additional costs for wrapping or is the canvas photo collage cost is just that the print and there will be additional costs for wrap on a frame? A: Dear Customer, Greetings! Thank you for your email, Yes you can go for the heart shaped collage, However it depends on the size you choose for the collage and according to the size of the collage the size of the image will differ and yes you can use more images if you go with the bigger collage and yes it will be wrapped around the wooden bars. Please let me know if there is anything further I can help you with. Kind regards, Mike, Canvas Champ. A: Hello Phyllis, Thanks for getting in touch with us. Yes, you can design your own canvas with layouts, effects etc of your likes. You can also keep a picture as a background of your print. However we cannot offer any more than the frames listed on our website. 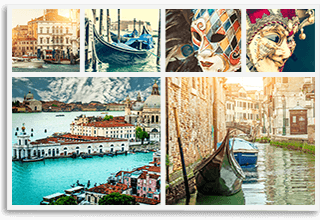 Also, we do not provide a designing tool for designing your canvas print on the website, so you will have to do the designing on your own through Photoshop or any other suitable software prior to uploading that file while placing the order. I hope this helps! But if there is anything more than please send us an email at cs@canvaschamp.com and our design and CS team will get in touch with you immediately.